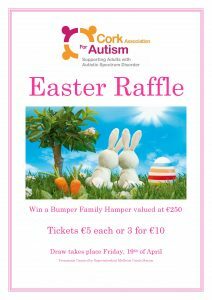 Cork Association for Autism is delighted to have been granted permission to hold an Easter Raffle, the draw for which will take place on Friday, April 19th at 2pm in our Barryscourt Office. 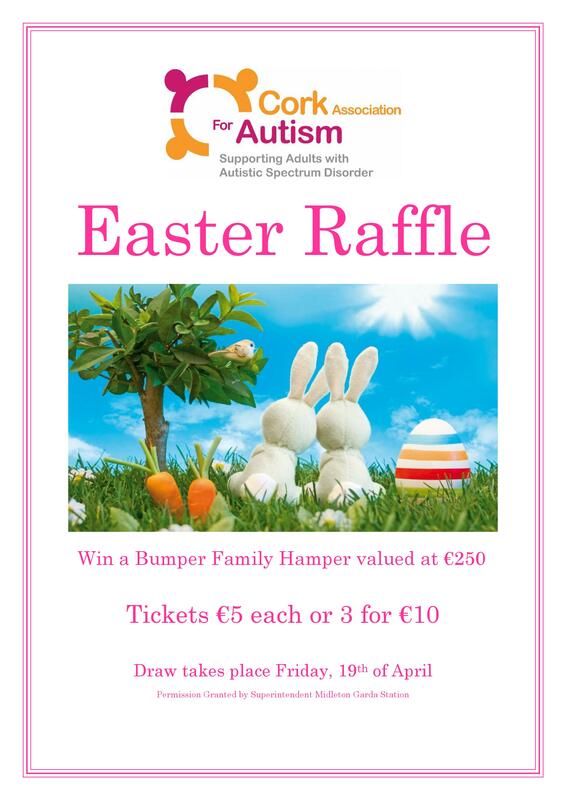 First prize in the raffle is a Bumper Family Easter Hamper valued at €250. The raffle will include many different prizes all of which are kindly donated by our generous suppliers and charity partners across Cork city and county. Tickets are €5 each or €10 for a book of 3. Tickers are availble from our office in Barryscourt or from all staff members. Permission kindly granted by Superintendent Midleton Garda Station.